The $15,000 NPL Las Vegas Open is down to its final six, with Allen Cunningham big stacked at 540,500. 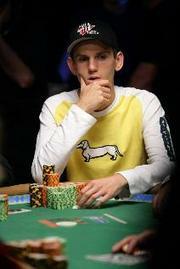 Two-time WSOP $50,000 H.O.R.S.E. final table-ist David Singer is second overall with 332,500. The final table also includes (in no particular order) Toto Leonidas (186,000), Mikael Thoritz (180,100), Antonio Salorio (249,700), and Nikolah Evdakov (221,100). Total prize pool is $812,763, and first place will take down $325,105. Read more here, since we’re apparently the only media outlet reporting on it.